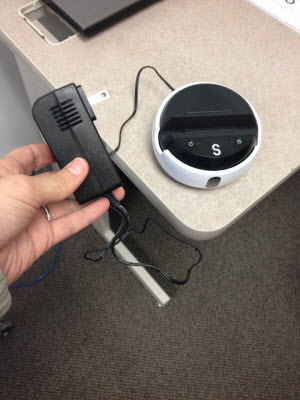 Instructions for how to setup the Swivl to capture audio and video. 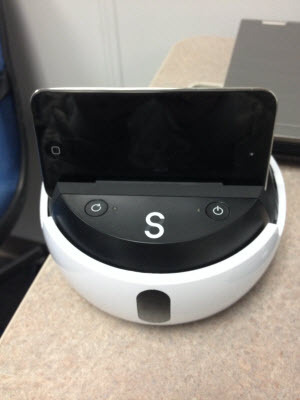 Swivl is compatible with iPhones, iPads, Fire tablets, and some Android devices. 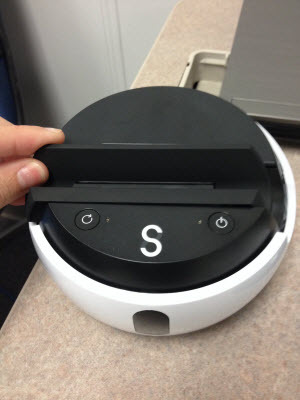 Each Swivl kit has three markers. Primary marker is the one with tracking and microphone. Primary has a purple sticker and a long lanyard. Secondary markers have a blue or green sticker and a short lanyard. The secondary markers have a mic only, no tracking. Always use the primary marker for the main speaker/presenter. 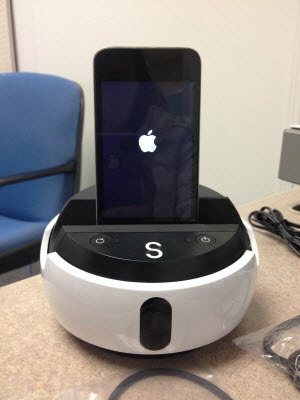 Before use - go to swivl.com and create an account. Step 1:Plug the Swivl into an available outlet, placing it in an open space that will provide the best range of motion. 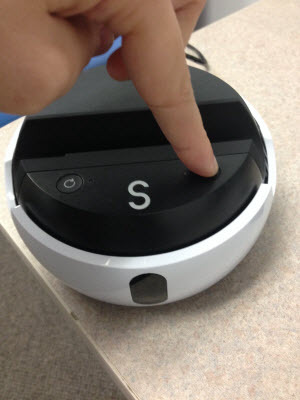 Note: The Swivl is able to run on battery power without the cord. In order to use the battery instead of the power cord, insure that the Swivl was charged sufficiently before beginning to record. If the LEDs on the base both blink red, the base has a critically low battery. 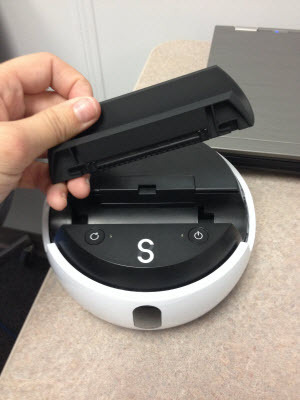 Step 2:Remove the marker from the back of the Swivl. Step 1:Turn on the base by pressing and holding the Power button. The light will turn red. 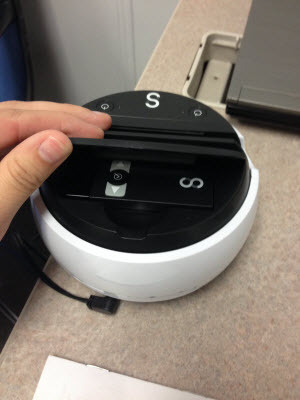 Step 2:Press and hold the Power button on the marker to turn it on. The light will turn green on both the marker and the base. 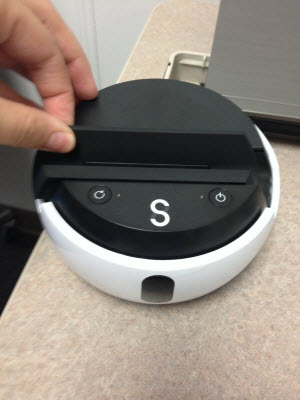 The base will automatically start to follow the marker once the lights turn green. Step 3:Point the marker at the front of the base and move it side to side to sync the base for horizontal movement. To see this step in action, go to http://www.screencast.com/t/BEYOD2Z4ythk. 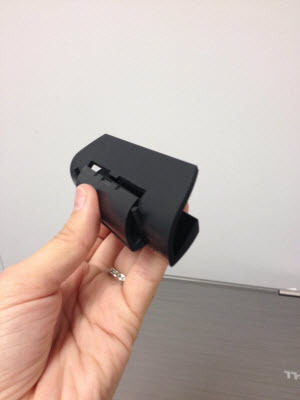 Step 4:Hold the Action button and move the marker up or down to angle the grip vertically. To see this step in action, go to http://www.screencast.com/t/2U7sCAmb. For information on how to set up Bluetooth with the marker, see the iOS Devices article. Step 1:Remove all covers and cases from your device. Step 2:Remove device grip from base by sliding it left and pulling up. 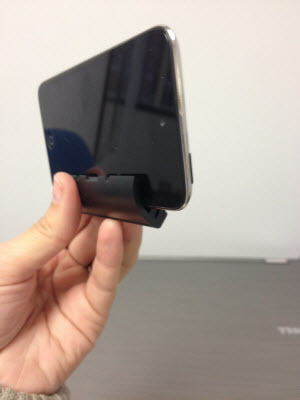 Step 3:Test each of the three(3) device grips to see which holds your device snugly. 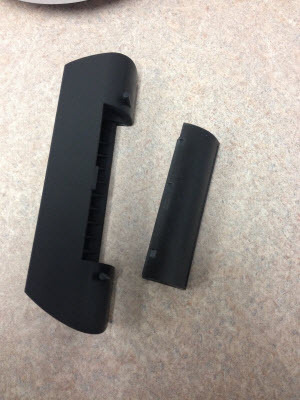 Step 4:Reinsert the new grip into the grip holder and place it back into the Swivl base. Step 5:Place your device into the grip on the base.You can place the device in the grip horizontally or vertically based on your preference. 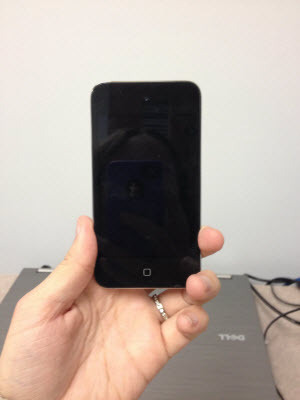 Step 6:Attach the connection cord to the base and your device. For iOS devices, the lightning end goes in device and microUSB in base. 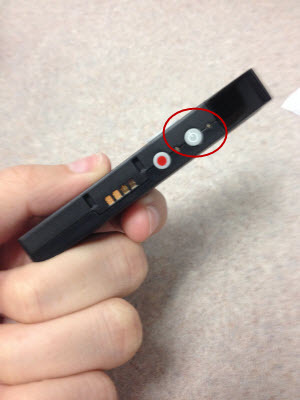 For Fire tablets or Android devices, the black microUSB end goes in device and white microUSB end goes in the base. You are now ready to record.